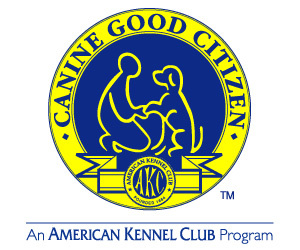 As of January 1, 2013, Canine Good Citizen will become an official AKC title that can appear on the title records of dogs registered or listed with AKC. Dog owners who complete the CGC as a Title process may list the suffix “CGC” after the dog’s name. Since the program began in 1989, CGC has been considered an “award,” meaning that it has not been listed on a dog’s title record. The AKC has a brochure online with more information. 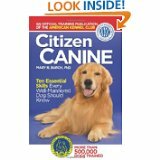 There’s also an entire book about it called Citizen Canine. You know I have it! The great thing about this news -- for me -- is now I feel confident that I’ll be able to put at least one title on the puppy. 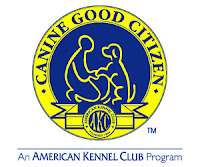 Even better, we have a club member who is an AKC CGC Approved Evaluator. She’s semi-retired, but maybe we can coax her into teaching/testing a class or two. I’m excited!